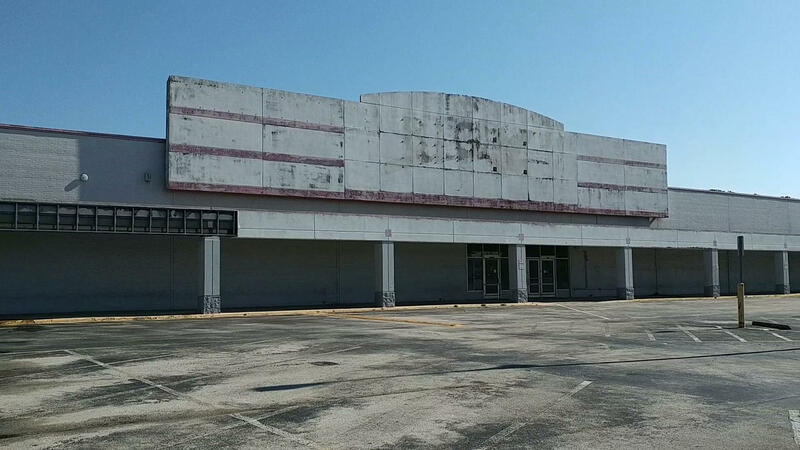 The former discount store at northwest Beach and University boulevards would be demolished and at least 30,000 square feet of space would be developed as Boulevard Crossing, according to our Daily Record news partner. The shopping center that includes the old Kmart at Beach and University boulevards is slated for redevelopment. The project is in St. Johns River Water Management District review. Jacksonville developer Jeff Conn, a co-founder and principal of NAI Hallmark, said Monday that he still is in the permitting phase and that work could start in the summer. He said in October that site work could begin by spring and construction should start by late summer on Boulevard Crossing. Plans show it will comprise four buildings totaling about 30,000 square feet of space on 8.84 acres at 5751 Beach Blvd. Those include a new McDonald’s to replace the one on the site, he said. Conn and his groups — Boulevard Crossing LLC and Boulevard Investors LLC — don’t own the Kmart building. He said in October he had no further information about the status of that structure but said previously he will be developing the property. The plans by engineer England-Thims & Miller Inc., revised March 1, show four addresses for the outparcels: 5617, 5689, 5753 and 5801 Beach Blvd. Those plans show a future outparcel “A” at 5801 Beach Blvd., the existing McDonald’s site. Outparcel “B” at 5753 Beach Blvd. is shown as a three-tenant, 6,790-square-foot building. Outparcel “C” is the new McDonald’s site at 5689 Beach Blvd. Outparcel “D” is shown as a 10,100-square-foot building at 5617 Beach Blvd. Plans previously filed with the Water Management District show the closed Kmart and other structures will be removed and the site redeveloped among four parcels. Conn said in the fall he has serious letters of intent from food tenants but declined to identify them. He also said there will be retailers other than restaurants. “That land has been sitting there for so many years. It’s obviously a great infill site with lots of traffic flow,” he said. Kmart closed six years ago. The property is in an area developed with retail stores and dominated on the southeast corner by Memorial Hospital and Brooks Rehabilitation Hospital. Conn said the area’s employers and neighborhoods provide a good customer base and that the traffic flow west into Downtown in the morning and east in the afternoon also offers a stream of consumers. Conn is president of Boulevard Crossing LLC. Boulevard Crossing LLC paid almost $1.9 million in October 2014 for about 8 acres at 5751 Beach Blvd. Conn said his groups own the bulk of the large parking lot while the Kmart building is held by another owner. Boulevard Crossing LLC is led by Conn and Vice President Alex Coley, also a co-founder and principal of Jacksonville-based real estate company NAI Hallmark. Conn also is the agent for Boulevard Investors LLC, which bought more property at the site Aug. 31 fronting Beach Boulevard, including the McDonald’s, for $365,000. A preliminary site plan for Boulevard Crossing is included with Mobility Fee Calculation Certificates sought by Boulevard Crossing LLC. The city calculated a mobility fee of almost $35,500 to support the transportation impacts of the larger building and $56,573 for the smaller. The plan shows the property would comprise four parcels, starting west of the existing Piccadilly Cafeteria, which is not part of the project. Conn said there is plenty of retail interest in the site. Kmart closed its 108,341-square-foot store in 2012. There also is 36,563 square feet of retail space. The structures were built in 1969. Property records show the entire site to be 13.5 acres.